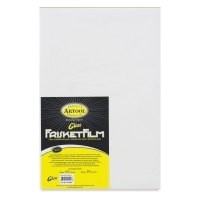 Artool FrisketFilm is a low-tack, soft-peel, self-adhesive masking film for airbrushing, masking, and stenciling. 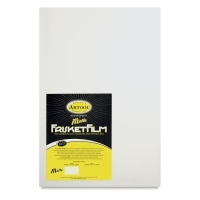 It won't wrinkle, bleed, or flutter under airbrush spray. 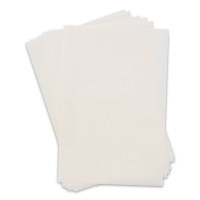 Available in matte and gloss finishes, it has a translucent backing sheet for easy handling, cuts cleanly, and removes easily from nearly every working surface, including photographs, illustration board, Claybord, watercolor and drawing paper, canvas, glass, plastic, metal, and glazed ceramic surfaces. ®Artool is a registered trademark.™ Claybord is a trademark.